If it's March, it must be time to talk about cars. The annual auto issue of Consumer Reports landed in my mailbox this week, and I spent some time skimming the pages. I'm not nearly as interested in car info as I used to be, but I know that many folks are in the market for a new car, and I think Consumer Reports is a great source for info. Plus, it's fun to review their findings to see what (if anything) has changed. This year, the Consumer Reports website — even the part that's not behind a paywall — has plenty of useful info. There are video reviews of top cars again in 2012, although external embedding has been disabled (meaning I can't share a video with you here — you have to go to the CR website to see them yourself). You can access all of the free, public content from the site's April 2012 issue homepage. But let's review some of the major news. Note: Because I continue to love my 2004 Mini Cooper (which I bought used), I'll throw in random Mini stats throughout this article, as I do every year. Humor me. Here are the Consumer Reports top-rated vehicles in ten categories (with previous years' top cars in parentheses). To me, the big shocker was the rating of top automakers. For years, Honda has ruled the roost in the Consumer Reports‘ annual round-up. Not this year. This year, Honda fell to fourth place. Who's number one? Subaru. (Although, to be fair, Subaru, Mazda, Toyota, and Honda are all bunched close together at the top of the chart.) Lowly Chrysler brings up the rear. This year, there's a clear winner in fuel economy. The Nissan Leaf gets an astounding 106 miles per gallon. (In reality, as a couple of readers have noted, as an electric car, the Leaf doesn't actually use any gasoline.) The Chevrolet Volt gets 61 mpg to take second place. Then there are a bunch of hybrids at about 38-44 mpg. Consumer Reports says that the Mini Cooper gets 30 mpg, and that's exactly what mine has averaged over the past six months (and it's eight years old!). The worst fuel economy? There's a four-way tie at 13 mpg: Cadillac Escalade, Dodge Ram 2500 (diesel), Ford Expedition EL, and Lincoln Navigator. In addition to ratings of 276 vehicles, the 2012 auto issue also includes a round-up of top tires, info on individual model reliability, a summary of safety statistics, and a guide to buying used cars. For a second year, the magazine has done away with some useful info for finding inexpensive gems. I miss the “most overlooked cars” list, for instance. I'm not sure there's much use to the “top driving gripes” and the “features we love and loathe” lists that take up and entire page. This is USA Today level fluff; I'd rather see some sort of useful data. Other information, however, is locked behind a paywall. And don't forget that you can always find great info on the Consumer Reports car blog. Is a used car still a good deal? Fix it or junk it? At what point is a car not worth repairing? What is a reasonable offer for a new car? Don't miss this fantastic response from a fellow who just bought a car. The Consumer Reports car issue is an excellent resource. If you think you might purchase a vehicle soon, I recommend it. But I think it's a little dangerous to pick up just for the sake of browsing. You may find yourself moved from merely curious to “itching to buy”! There are 59 reader responses to "Consumer Reports Auto Issue: Best and Worst Cars". I think it is super important to read the reports on whether a care is reliable or not – how often it breaks down compared to other similar makes and models. You can save yourself a lot of hassle and a lot of expense this way. Most of us spend a lot of time in our cars and we rely upon them. Problems can make us late for work – or worse, we might not get there. We need good cars and reading consumer reports can really help us avoid disasters and save money on long term expenses by avoiding them in the first place. When I bought my first car, my father warned me that you can “pay now, or pay later” In other words, you can pay a higher purchase price for a more reliable vehicle or buy a less expensive, lower quality care and end up paying the same in maintenance down the road. In other words: you have to consider total cost of ownership, not just the price tag on a new or used vehicle. I found Consumer Reports was a good source to consult. Hyundai has really made a comeback and makes really nice looking cars. Too bad they have baggage from the poorer quality cars they put out years ago…it will be an uphill battle for them. I stopped relying on Consumer Report’s reviews on autos when I purchased in 2004 their well reviewed Hyundai Elantra. It was a POS. We sold it in 2010 (fully paid off) after putting in 1k of car repairs, and purchased a brand new Dodge Grand Caravan. We paid for most of it in cash, and took out a tiny loan to pay for it. When I put together all we would pay in interest was $275, I realized that was easily a future repair for that POS Hyundai. I see in this particular issue Toyota must have paid well in advertising for Consumer Reports. I wouldn’t have guessed they are top-rated after the recent recalls. Many major car manufacturers have had major recalls in the past few years — for some reason, the U.S. government made an example of Toyota. I’m not surprised Toyota still made the list — unless you follow information about recalls, you miss a lot of stuff about other manufacturers. Case in point: my relatives’ Dodge Caravan had more than 14 recalls, including issues with seat belts, seats not staying hooked in, electrical problems, etc. Not a single one of those recalls ever made the news despite the fact some of them were safety issues. Don’t forget all the exploding Fords! My former coworker parked next to a Ford that had been purchased at a CarMax. Something had been recalled, CarMax didn’t take care of it, didn’t tell the customer, and the customer never knew. Luckily it exploaded/caught fire when no one was in it, but it did take out the cars parked on either side (also vacant). A couple of things that I don’t like about it. No cabin air filter and that it’s prone to rust in certain areas… as I see on mine and many others driving around. Otherwise has been a reliable car… I can probably get another 5 years out of but then there’s that rust problem. Hurrah, the, Chevy Avalanche wins again! Of course mine is 10 years old ha ha ha. But seriously, if/when I update it will very likely be another Avalanche. I love that truck. A note about the CR paywall: their online subscription was just $5/month last I tried it (couple of years ago maybe). So if you have a big purchase to make, it might be worth it to drop $5 for the info you need that month– no need to have a permanent subscription. Blarg. Thanks, Nerdo. I had forgotten to logout of the site to be sure that link was available to non-subscribers. Fixed. 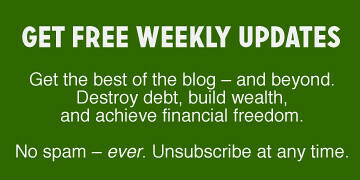 I had a good chuckle on the Dave Ramsey article about “Drive Free Retire Rich” with its use of a 12% guaranteed rate of return. It reads like one of those old timey ads from the 1800s or something. Oh for the roaring 90s again. Using a modern 4% rate of return (still a stretch if you’re conservative) and 2-3% inflation + taxes on investment returns, the math just doesn’t quite work tho. I believe the S&P500 has returned about 11% average over the last 75 years, and some mutual funds (although riskier) have done even better than that. Why do you think 4% is a stretch knowing that? The average rate of return since 2000 has been approximately 4.5%, but around half of that figure is accounted for by dividends. If you are talking about non-dividend-returning investments, it’s about 2% over the same time period. Returns from 75 years ago (or 50, or even 20) are irrelevant when discussing investing as it relates to auto purchasing. What is irrelevant, is the last 10 years of the stock market. “The great recession” is not representative when considering investing for the long term future (which is what the comparison really is about). Unless of course you think something fundamentally changed about the stock market that makes it impossible to do what it has done for another century. If you are comparing new vs. used – or used vs. used – and you are a numbers person, the Edmunds website has a lot of data available, including zip-code specific appraisals and ‘total cost to own’ estimates (year-by-year costs by category, for example insurance, gas, maintenance, repairs etc). You can check for a bunch of models, and then once you have a specific model in mind you can look at a bunch of years to see where the sweet spot is for you in terms of lowest price to purchase vs. total cost of ownership/life of car. When I ran a bunch of numbers last year for my sister in law, for the car she was considering (a Mazda 3 hatchback), it made the most sense to buy a 2-3 year old car – the big initial depreciation was past and the estimated repair & maintenance costs weren’t yet a lot higher. For that model according to Edmunds, a 4 or 5 year old model wouldn’t cost enough less to purchase to make up for the 2 years more wear & tear on the car, at least for my sister. Luckily for my SIL her old car hasn’t yet died, so she hasn’t bought anything new to her yet. Per gallon of what, exactly? They have created an MPGe rating or Miles per Gallon Equivalent which is meant to provide a comparable measure for electric cars. Theres about 114,000 BTU in either a gallon of gasoline or in 33.7 kWh of electricity. I’m trying not to think about new cars, hoping that if I don’t, my car won’t sense my desire and revolt on me before it’s time. Hi JD, your link for “top-rated vehicles in ten categories” is not working. To me it’s astounding that a car which doesn’t ever require gasoline could burn a gallon of the stuff every 106 miles. Any “miles per gallon” figure for an electric car is totally bogus. Yeah, that doesn’t make much sense. Maybe they’re doing some sort of energy equivalency thing? That’s true, they do…I’m not sure the exact process they use to determine it, but regardless, it’s an apples and oranges comparison. To me it’s as if I started measuring my refrigerator’s energy consumption in calories and compared it to the amount of calories I eat. It’s meaningless. Its a MPGe, Miles per Gallon equivalent. Not a great stat but it allows people to compare the amount of energy used for cars with different fuel types. I’m sure we will be seeing a lot more of the MPGe in the future. Please see the link for info on MPGe. I’ve had my Subaru Forester for 2 years now and love it to pieces. And, apparently, I have lots of company– here in the Boston area it seems like half the cars on the road are Subarus, a great many of them quite old (in car years). Not at all surprised by the #1 ranking. Thanks for sharing! I always look forward to the auto issue for a couple of reasons. They do give great tips, and even though my dad is a mechanic (so I can get free tips any time I want), it’s nice to hear it from someone else, too. Also, the testing station for the Consumer Reports Auto Branch is in my town in CT. I see the cars being driven around town all the time, and it’s nice to finally see what they’ve been up to! What I’m driving: 1991 Toyota Corolla with 76k miles on it. (Yup, you read that right) Runs like a dream and gets 35-40 mpg consistently. I could not ask for a better car! Like you JD, I once cared about cars – no longer. Regardless, it would be useful for your readers to checkout Consumer Reports “Best & Worst Values” page. This analysis appears to include performance, utility, and reliability for the money. It is astounding to me that people actually buy new Jeeps, Land Rovers, Mercedes, Chryslers, and Cadillacs. It’s like carrying a “stupid” label with you everywhere you go. Unfortunately, people are easily suckered by perceived image and advertising. I’m always surprised that Mazda rarely makes the list though everyone I know who’ve owned Mazdas were more than happy with the cars long term. I own a Mazda3, and though I haven’t had a long enough to speak on the long-term reliability (year and a half), I can say its a pretty solid car in its class. Agreed, I love my Mazda6! I just bought a 2012 Subaru Outback, so I guess I probably made a good call. Thanks for this post! I’m looking into getting a new car soon and was gearing towards a hybrid. I didn’t even consider electric but will look into that too. Nice to see that both my 2007 Pontiac Vibe, purchased new, but after the ’08s came out, and my SO’s 2010 Scion xB purchased from Carmax in April 2010 are on the list of best used vehicles. The Vibe was made by GM with Toyota, so it’s a GM shell over Toyota parts. Different body shape, but otherwise identical to the Matrix. It was cheaper, and since I keep my cars until they die I didn’t need the resale value that would come with it saying Toyota on the car. I bought new because the price difference at the time wasn’t significant between new and used and I wanted to get everything I wanted feature-wise in the car, since I knew I’d be keeping it for a long time. Four years later I’m still really happy with it. I’m surprised to see that both vehicles listed under the small cars category though. Small crossovers, yes, but one of the things I love about my Vibe is how much space there is in it. i am driving a honda fit for the past 3.5 years. the best car i have ever owned. i had a ford focus before the honda fit. the ford focus transmission died right after 3 years. replacing that transmission cost me over $3,000. to make a long story short, i will not buy american cars again until they improve the quality of their cars. i had owned 2 american cars before. ford focus and ford pinto. both are truly junky cars. I’m still driving my 1997 Toyota RAV4. It has 135,000 miles and I’ve never had to take it in for anything other than replacing some standard stuff around 90,000 miles due to age. I see a lot of 96s and 97s on the road. Highly recommend this car! Before I buy a used car, I search the make, model and year and “complaints.” This lets me see what typically goes wrong with them and decide if I can live with that. Hyundais are very good little cars for the most part. Likewise Kias. Hondas and Toyotas are often overpriced. I’ve never bought an American car. Probably never will, either. I’d like to, but they have made crap for as long as I’ve been alive. We’re currently shopping for a used car (hopefully under $6,000) for our 18 yr old son. He’ll be using it mainly to commute to college starting in the fall. He only has his learners permit now and we’re waiting to find the car for him to finish practicing on for his test (better than my boat or my husband’s finicky manual trans). We’re in the snow belt and our top priority is something safe, then reliability & mileage, knowing that we won’t get the cream of the crop at our budget. You might consider a used Scion if you can find one — they are super-reliable. Scion is a division of Toyota. My 2006 Scion XB, which I bought new, has 135,000 miles and I’ve had zero, I mean ZERO, problems with it — it has never had anything except routine maintenance, and even that I’ve not kept up with as religiously as I should. Of course, mine has standard transmission, which is one less thing to go wrong. If you can possibly go standard, I recommend it. Plus, driving a standard is just more fun. AND it is less likely to be stolen, because most casual car thieves can’t drive a stick! Become a member of CR. It’s 30 dollars for a year, but they have a whole list of “best choices used cars” under 4k, 4-6k, 6-8k, etc. Actually I work for Consumer’s Union (parent company). Not in the location where they do car testing, and I have nothing to do with anything auto related. I don’t get a free subscription, but I did buy the auto issue, and I can get the full online access through my library. I like getting more opinions, which is why I asked. Not too sure about the Crown Vic, but I do realize the advantages! I’ve got a Vibe and I love it, but even when I bought mine in ’07 the prices on used ones were higher than I expected (so I bought new.) I keep getting things in the mail saying that my car is in “high demand” by used car dealers. No idea if that’s actually true, but it’s probably not helping the price. As I noted above, mechanically a Vibe is a Toyota (all Toyota parts underneath a GM shell) which is probably why they are pricier used than one would expect for an American-made car. My boyfriend has a Scion xB and it’s also a great car. If I remember correctly it performs something like 3x better than most cars in rollover testing. Also, depending on how tall your son is (my BF is 6 foot) the Scion is extremely roomy on the inside. My boyfriend’s 6’3″ brother can comfortably sit in the back seat behind my boyfriend. When we bought our last car (a used Mazda5) I read tons of magazines and reviews, but in the end the only things I found truly useful were looking at price, reliability measures and fuel economy. The rest was just test driving/using/imagining (“what will fit in the back with all the seats up?”). Other reviews are biased toward what that reviewer (or reviewing staff) likes – which may or may not be what you need. I’m all about green cars. I’m glad to see that Prius maintains its position. My 2003 Malibu has a V6 and sips fuel. Got it for under $500. It’s also metal so I can just hammer out dents. Good insurance is about as cheap as it can get on that baby. Enjoy driving your overpriced imports guise! It’s always good to read the reliability figures before you spend thousands of dollars on a car. Thanks for the post! Can I just say that I love Consumer Reports! The research, analysis, and objective conclusions are refreshing. This is PERFECT timing. I may actually have to purchase a car for my new job. well, maybe. As you can tell, I’m trying super hard to avoid a call i at all possible. The 82 Buick LeSabre is still going strong! If you’re going to buy a car, you should really click the best used vehicles for under $20000 link. I’m a firm believer in buying a used car you can pay for in cash. Why finance something that depreciates in value the minute you drive it off the lot? A reliable 2010 car according to Consumer Reports is still a reliable car! Buy something you can afford and save the monthly payment you would have been making to up level of your next car. What do people think of Hyundai’s? They seem to be getting such good reviews compared to the lowly car company they used to be. Any Hyundai owners out there willing to help me out on this? LOVE my ’06 Sonata. I bought it used as a bank repo in ’07 and have had zero problems with it so far. It won me over when I was shopping by being nearly equivalent in MPGs, quietness, and comfort as similar Hondas and Toyotas for much less cheaper. Not sure how they compare now as I plan to drive this one until it drops, but I know I like the look of the newer Sonata miles even more than my ’06. @Babysteps, I agree, I also think Edmunds is one fo the best sights for evaluating autos prior to purchasing. In addition to mpg and purchase price, my major concern was maintenance and repair costs. I narrowed my search down to 3 vehicles, and finally chose a 2006 Scion Xb (Toyota, and no history of recalls for this model). It has low maintenance issues and fees, and according to Edmunds, is the most popular 4 dr sedan under $15k. I don’t know how it ranks with Consumer Reports. I *love* this car! Now I know why there is such a first generation Xb fanclub! I get around 33 mpg on the highway, and it has great pick up for a 4 cylinder, plenty of passenger and storage space, and amazing visibility out of the windows. And hey, according to Edmunds, it can hold a cargo of 32 cases of beer. What’s not to love about that? I think personally that you should buy a car that fits your needs. I agree that you should buy a car with good reliability. A 2007 Honda Accord is a good example of this. The retail price for the LX is on average $20,720. Also think about and plan how you will pay off a loan on a car in the future if you make one. Just remember that you will need to pay that money back some day. Its also good to make a plan on how you are going to pay off the car. Consumer Reports is one of the best resources for buying a car.